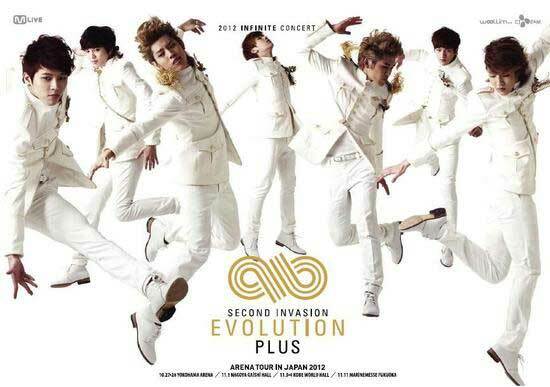 INFINITE has been sweeping Japan’s music charts, gaining much attention. On July 24, INFINITE’s entertainment stated that their 3rd mini album limited edition showcase DVD, ‘INFINITIZE: THE MISSION,’ ranked number 1 on the Japan Oricon DVD Chart. This showcase DVD showed footage of their showcase from May where they toured 5 cities in Korea in just one day. The clips showed them getting ready, practicing, back stage and performing. 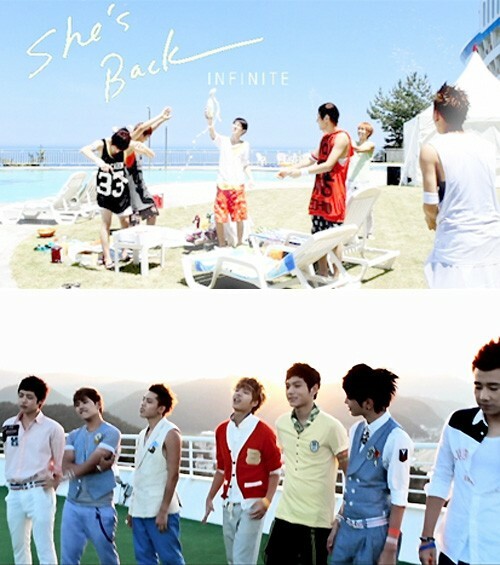 Let’s play for this summer with the boys of ‘Infinite’ because music video for ‘She’s Back’ Japanese version is out! After revealing video teaser before, Infinite finally releases music video for their third Japanese single, ‘She’s Back’. Just like in the original, the Korean version, this PV also give a summer feeling where you can see Infinite’s member playing around in a beach and swimming pool. You can check out the music video first while waiting for the release of this single on August 29th! ‘She’s Back’ (Japanese Ver) M/V Teaser released! 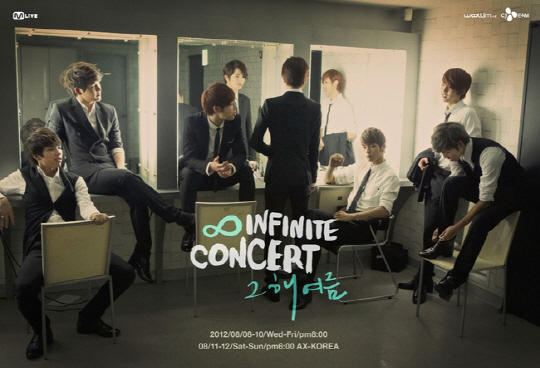 INFINITE is going to release their third Japanese single, which is She’s Back. The release is set to be August 29, and this single will also include the song TO-RA-WA. 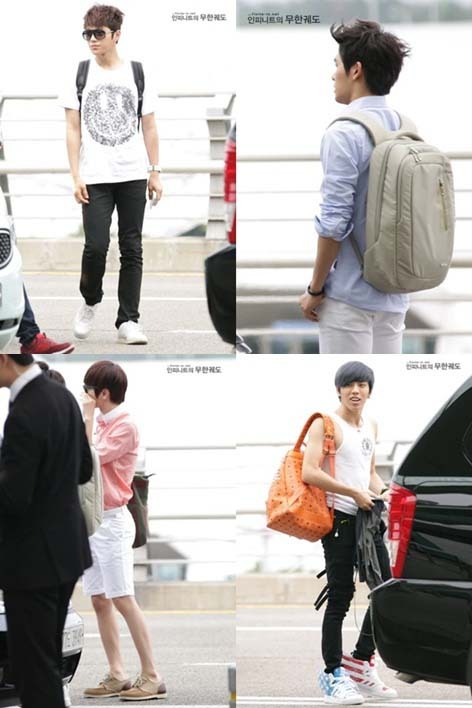 The members of INFINITE revealed that they put together their own styles for the airport. 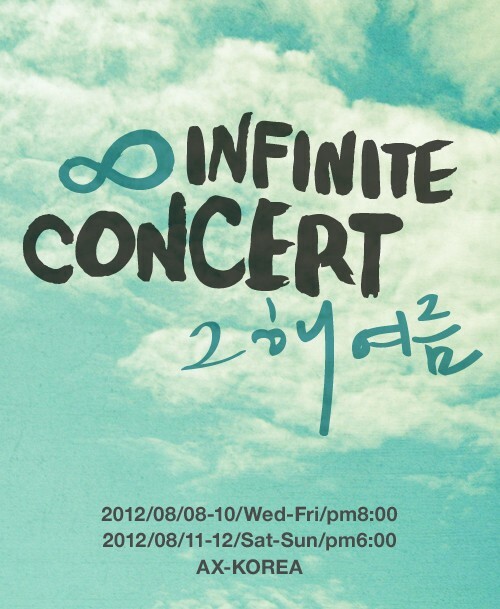 The July 16th filming of the KBS program was INFINITE’s Sunggyu’s last recording. 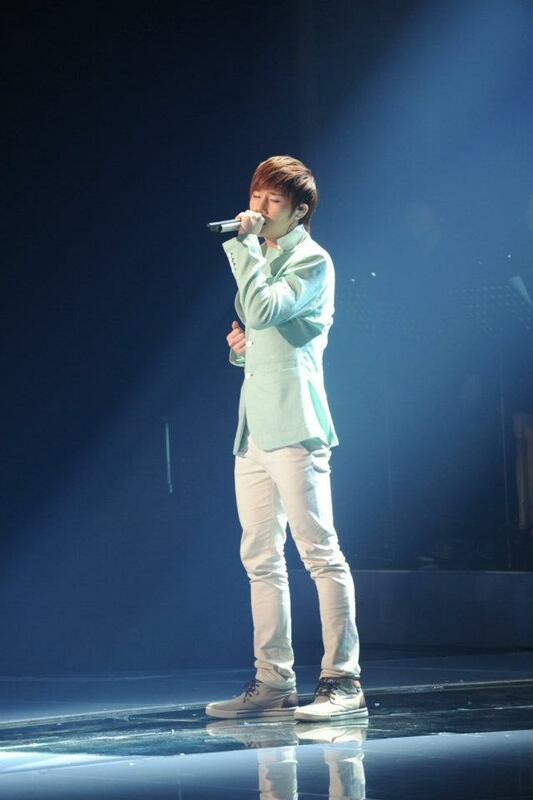 Lead vocalist Sunggyu became a fixed cast member of “Immortal Song 2” this past May along with Super Junior’s Ryeowook. Along with fellow INFINITE member Woohyun, he’s the second member to star on the show. T-ara’s Hyo Min and Woohyun Snapped on a Grocery Date? INFINITE’s Woohyun and T-ara’s Hyo Min have ′caught′ together. The picture showed a casually dressed Woohyun holding up sacks of groceries and walking with Hyomin in a yellow top and leopard-print skirt and heels. The two were snapped walking outside. 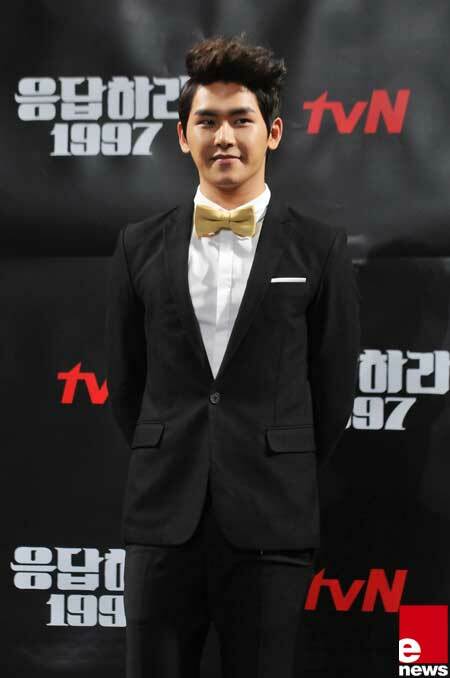 INFINITE′s Hoya dressed up in a suit and bowtie for tvN′s Respond 1997 press conference on July 10. The event was held at the CGV in Cheongdam-dong, Seoul. Meanwhile, Respond 1997 is the story about six young men and women, living in the 90’s when idol stars such as H.O.T and Sechs Kies reigned all over Korea. The main characters meet at a high school reunion in 2012 at 33 years old, where they start reminiscing on their high school days in 1997.